How often is it when you blindly come across a new book and fall under a spell within the first few paragraphs? That you must read it in one go, cover to cover in one sitting? How often do you feel shivery knowing you've just read one hell of a book and it might have just changed your life? That you can't wait to read it again and again. OMG! How amazing is this cover! By Anna and Elena Balbusso. This is exactly how I felt when I read Of Sorrow and Such by Angela Slatter. (I can't believe, to my shame, it's taken me until now to discover this wonderful author?!) I picked up this book after reading that another equally amazing author Gwendolyn Kiste really admired her. I didn't know anything about the book before starting it but was absolutely delighted to find out it was about witches! I've long harboured a deep fascination with witches and sorcerers. There's just something so uniquely enduring about the lure of strong powerful women who are able to live beyond the realm of normal, surviving and even prospering through their sheer force of will and keen intellect. Throughout Of Sorrows and Such are little pearls of wisdom we can all take away with us. Reading this I felt I was learning how to be a witch, like I had been taken under the wing of Patience Gideon, being taught how to think like a witch, how to protect oneself, the sort of people to be wary of, the ones who can be trusted, the sweetness of revenge. "If you behave as someone with a secret, you will certainly find people digging to discover it. Better still to be like a reflective surface to those around you, smooth and impenetrable, show them nothing more than a gentle smile and listen with compassion to their plaints. Breathe deeply before you answer questions, for a guilty party always blurts and shrieks their innocence. always - have an escape plan." 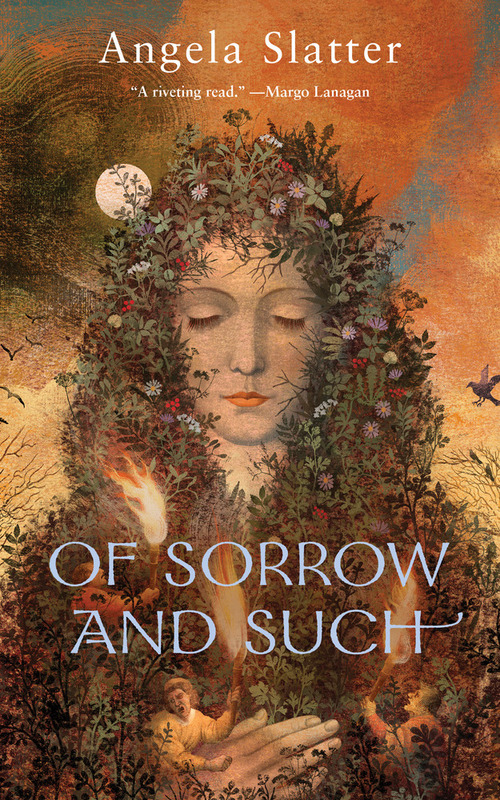 The story centres around a powerful witch, Patience Gideon who spends the majority of her life tending to the needs of the local women folk in Edda's Meadow living under great caution. One night Flora Brautigan appears suddenly out for the darkness, upon her door step in dire need of shelter and magic. Patience should have let her die there. Flora is nothing but trouble and in saving her Patience risks everything, her secrets, her daughter and her life. "I feel as though all my sins are coming home to roost." I'm finding it hard to put in words just how much I loved this book. I will say that when you start this book, do so when you know you won't be interrupted for a few hours because, believe me, you will have a burning desire to read it in go. This is a book like a fine wine that you will want to sip and savour, to make it last as long as possible but Angela Slatter won't let you once you're under her spell, you'll be gripped, reading with frenzied fervour as if it is your last night upon this earth. Underneath this story, there are some really great themes of love, sacrifice, revenge and the power of female friendship, betrayal, of sisterhoods that will always endure. This is a really powerful book of really powerful women. Hopefully one day this book may be studies in school everywhere. 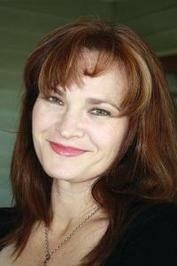 Angela Slatter is the author of the urban fantasy novels Vigil (2016) and Corpselight (2017), as well as eight short story collections, including The Girl with No Hands and Other Tales, Sourdough and Other Stories, The Bitterwood Bible and Other Recountings, and A Feast of Sorrows: Stories. She has won a World Fantasy Award, a British Fantasy Award, a Ditmar, and six Aurealis Awards. Angela’s short stories have appeared in Australian, UK and US Best Of anthologies such The Mammoth Book of New Horror, The Year’s Best Dark Fantasy and Horror, The Best Horror of the Year, The Year’s Best Australian Fantasy and Horror, and The Year’s Best YA Speculative Fiction. Her work has been translated into Bulgarian, Russian, Spanish, Japanese, Polish, and Romanian. Victoria Madden of Sweet Potato Films (The Kettering Incident) has optioned the film rights to one of her short stories. She has an MA and a PhD in Creative Writing, is a graduate of Clarion South 2009 and the Tin House Summer Writers Workshop 2006, and in 2013 she was awarded one of the inaugural Queensland Writers Fellowships. In 2016 Angela was the Established Writer-in-Residence at the Katharine Susannah Prichard Writers Centre in Perth. 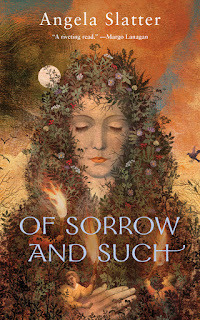 Her novellas, Of Sorrow and Such (from Tor.com), and Ripper (in the Stephen Jones anthology Horrorology, from Jo Fletcher Books) were released in October 2015. The third novel in the Verity Fassbinder series, Restoration, will be released in 2018 by Jo Fletcher Books (Hachette International). She is represented by Ian Drury of the literary agency Sheil Land for her long fiction, by Lucy Fawcett of Sheil Land for film rights, and by Alex Adsett of Alex Adsett Publishing Services for illustrated storybooks.